Uncover your naturally beautiful nails and clear, youthful complexion at RiverStone Spa in Pigeon Forge, TN. Our wide range of nail treatments are specifically tailored to soothe and refresh your nails to let your natural beauty shine through, while our organic and botanical treatments and specialty facials renew your skin for a radiating glow. Must be 13 years old to receive a Facial Treatment. Book your spa treatment online. This facial is customizable, featuring the very best ingredients to leave your skin with a healthy glow. This facial will leave you and your skin feeling refreshed and relaxed. This highly effective facial utilizes AHA blends, retinols, brightening agents, and antioxidants to produce radiant younger looking skin. Illuminate all skin tones for an even, glowing complexion using Skincare formulated to lighten and brighten all forms of pigmentation. This facial fights acne, reduces blemishes, eliminates excess oil and purifies skin. This facial is ideal for sensitive and redness-prone skin with a rich blend of natural botanicals to soothe and calm skin. Our signature facial offers the ultimate in skin therapy and relaxation, and is uniquely tailored to your individual skin type. Your skin will emerge from the facial with tighter pores, and your complexion will have a radiant glow. After a light hand and foot massage, all of your expectations will be surpassed with this head-to-toe treatment. 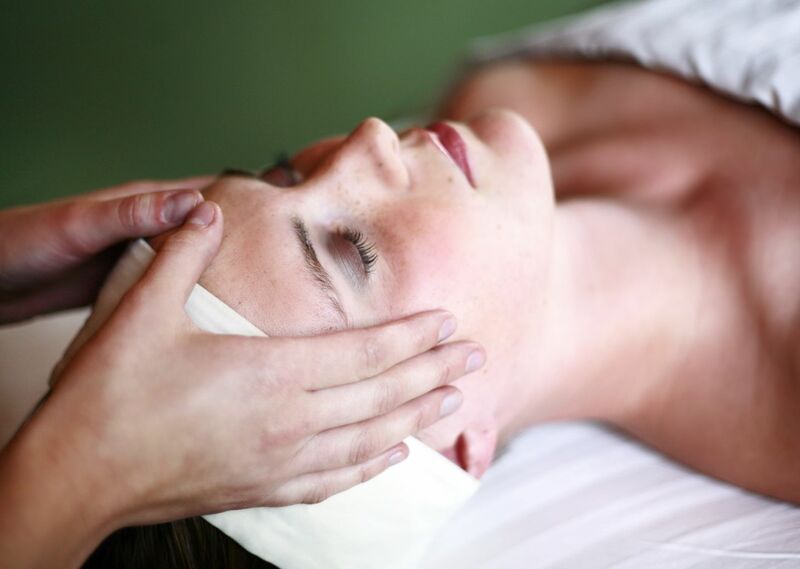 The 80 minute facial includes a warm stone facial massage and a peppermint scalp treatment. This treatment uses fruits, vegetables and herbs to detoxify and smooth every inch of the back. The healing benefits will leave your skin feeling silky and naturally beautiful. This is a spa staff favorite! It is one of our most relaxing and requested treatments that includes two of our favorite services combined into one. Enjoy a 50 Minute Refresher Facial while getting a 60 Minute River Relaxation Pedicure on one of our luxury spa tables that has a built in foot spa. HydraFacial is a revolutionary breakthrough in aesthetic technology, the next generation of exfoliation and skin rejuvenation. The process removes dead skin cells and impurities while simultaneously infusing the skin with cleansing, hydrating, and moisturizing serums and antioxidants.The HydraFacial treatment is soothing, refreshing, non-irritating, and highly effective. This procedure effectively reduces fine lines, age spots, and acne scars while stimulating the production of skin cells.Gentle abrasion and a vacuum action remove the exfoliated skin cells. Crystal-free microdermabrasion is the most popular non-surgical cosmetic procedure for repairing the skin's surface. Receive the best of both worlds! 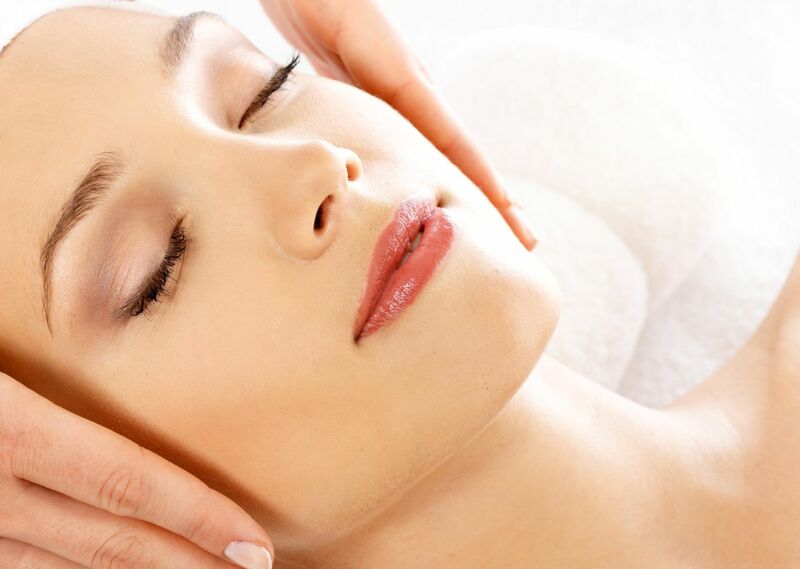 This amazing treatment includes a 50 minute Refresher Facial and a 30 minute Back Treatment. Dermaplaning is a controlled scraping of the skin to immediately rejuvenate it by removing the outermost layer of dead skin cells and vellus hair. You can also add Dermaplaning on to any facial for optimal results and relaxation. The perfect addition to any facial. Your esthetician will spend extra time with exfoliation, mask, and hydration around the eye area. The perfect add on for dry, cracked lips, or if you simply would like to add hydration for the perfect pout. Must be 13 years old to receive Nail Treatment. RiverStone Spa does not remove acrylic nails. Please let Spa Receptionist know if you have shellac polish on your nails when booking appointment. Shellac removal must be booked prior to your treatment. Have your hands feeing refreshed and looking fabulous! This manicure includes soak, nail shaping, cuticle care, massage, and polish. You can also enhance this manicure with a warm and hydrating paraffin mask. This relaxing pedicure includes soaking, nail shaping, cuticle care, exfoliation, massage and polish. You can also enhance this pedicure with a warm and hydrating paraffin mask. Experience the ultimate in pedicure pampering with an 80 minute! This treatment focuses on nail shaping and cuticle care. Plus the perfect polish!